Progressive music fans can whip out their wallets in advance, because they will want to just throw their money at this artifact. 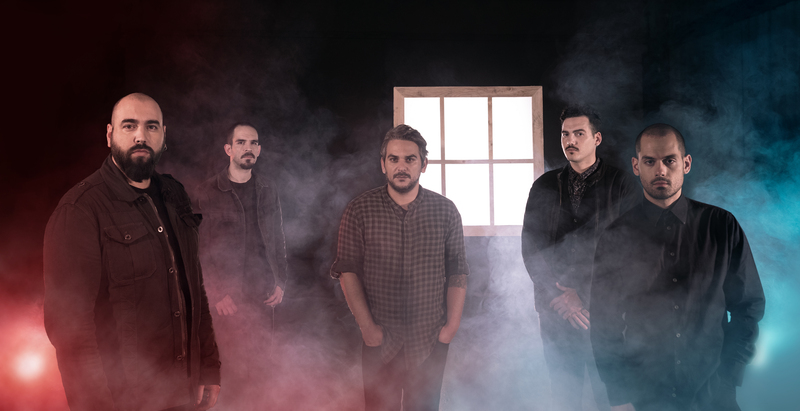 Mother of Millions is a five-piece progressive rock/metal band from Greece that has been active for just slightly over a decade now. They are now at their third full-length album, which will be dropping soon. Artifacts is the physical and spiritual successor of Sigma. The album aims to tell a story revolving around ideas and feelings as objects that hold a ritual value. First I’d just like to elaborate a little on the band’s name. It comes from the plant Bryophyllum delagoense also known as Mother of Millions. It reproduces by seed and by tiny plantlets that are produced at the tips of its fleshy leaves. Dislodged leaves and broken leaf parts can also take root and give rise to new plants. This species is commonly spread in garden waste. In an interview, the band stated that the plant’s toxicity, and its uncontrolled reproduction are the two points that stand out as a metaphor regarding nature and society. Nearly identical in length as its predecessor, Artifacts embraces a very different approach in how it presents itself. It dramatically drops the more metal leanings that we have met on Sigma. However, this is achieved with great finesse, managing to not sacrifice any of the weight of the delivery. Another noticeable departure is visible, in the form of a penchant for a more melodically propelled atmosphere. All while exploring textures and moods in a manner that hearkens to the post-rock mindset more than anywhere else. It’s worth underlining that in contrast to Sigma, and even Human, there’s a very prominent cinematic edge that seems to transpire all across the record. Thus, endowing the listener with a very immersive experience. The arrangements of the songs are simply wonderful. The album has a very natural flow as it unfolds. The seamless alternating dynamics between loud and soft further add to the aforementioned post-rock element that transpires. The narrative discourse of the album resembles to an extent the way a symphony is put together. “Anchor” and “Amber” pave the first steps of this trip with a fair deal of grace, lulling the listener in the carefully crafted soundscape that will eventually fully bloom. The title track very appropriately encapsulates the essence of the album as it aptly fleshes out scintillating scenes. From hereon it would seem that things are turning towards a more relaxed setting as we’re passing through “Rite”. This is enforced by “Nema” that takes the shape of a gallant and caressing interlude. While it seems that “Soma” does nothing more but continue the already set mood, it is actually the introduction of the actual ending. “Cinder” closes Artifact on what I can only say is a grand note. There’s really not much more words can account for, let alone do proper justice to it. Mother of Millions have crafted a truly unique gem. An album which has no amount of fat on its body. Artifacts is a much more refined, poetic, and sublimed whole when looking back Sigma. The band moves forward while retaining their charm and hallmark traits, as a progressive band should. Fans of any music (especially progressive music) must tune into this album, this is not something to miss out by any means. This is an act that will surely become a classic in the future. Previous PostNixa - "Opus Tierra"